I was recently asked to comment on an article by Israel Finkelstein, which discussed the history of Ancient Israel. As could be expected, the article had some good points, reference to archaeological conclusions, declarations of scholarly consensus where no consensus exists, provocative language and was clearly in line with his customary perspective. What I had already noted when I previously read his material, or listened to his presentations, again was patently clear in this article: Israel Finkelstein does not have much regard for people in history. For him history is a slow, social process, that has to be explained through social models. Therefore, intentionality – the intentional influence on history by particular people or people groups – has no place in our reconstruction of history. He certainly is not the only academic to take this approach. Indeed, he hardly deigns it worthwhile to quote anyone – except in derisive terms – who takes a different approach. Therefore, the Biblical narratives of the ancestors have to be seen as myths referring to people groups, nearly as allegories for social processes. To a certain extent an approach that leaves the role of particular people out of history is given through the archaeological material itself: for even though archaeological material was left behind by specific people, we do know little about them, so we have to speak about them in the most general terms. But does that have to be the principal stance towards history? The ancients clearly didn’t think so. For them history involved people, heroes and villains that rose to the occasion or failed to do so. That’s the view across ancient historians, including my favourite classical author – Tacitus. Yes, people reflected their time. The ancient historians are clear about that. Leaders or those that rose above the mass to make it into the annals of history, did not exist in a vacuum. But nor were they just representatives of an unavoidable social process. People acted, lived up to expectations. Their intentions succeeded, failed, or had results they never anticipated. Actions matter. Attitudes matter. Words matter. People matter. A similar view of history persisted to a greater or lesser extent throughout the ages. Alongside the new social processes perspective from the 18th century, the focus on key historical figures became quite prominent in the 19th century. It is regarded less favourably at the moment. It somehow seems unscientific, too simplistic. But can history really disregard the struggles of individuals? I do not think so. Our modern view of history is a valuable corrective counter-point to the previous focus on leaders. But by subsuming everything under social processes, which are defined more by our current worldview than the worldviews of past people, we also run the risk of severely distorting history, and misunderstanding ancient narratives, which indeed did focus on particular leaders. We have to grasp the importance of people in history. Of course, we can never fully know the various influences on historical events, just as little as we can fully understand what’s happening in the present. We always have only a partial view of history, seeing it from a particular perspective. Much of history is hidden from our view, goes unnoticed. Even extraordinary people are propelled into influential positions by events far beyond their control. But that does not mean that their actions were not intentional, nor that their effect on history inconsequential. What people do has far-reaching historical effects, even if historians do not always have access to these actions. People have a place in history and so do the narratives about them. 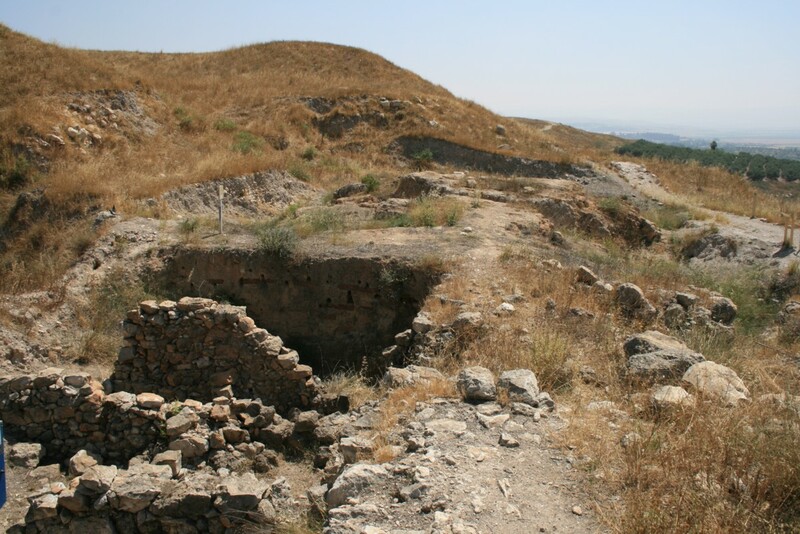 This entry was posted in Archaeology, Biblical Studies, Discussion, History and tagged Ancient Israel, Ancient Judah, Archaeology, Bible interpretation, Biblical Archaeology, Byzantine Period, History, Palestine. Bookmark the permalink.